This beanie based on a design for a tight just fit all around the head. It is flat against the skin all the way around. The deep base of it creates a secure fit for women with long or short hair. The silk fabric allows air to ventilate. Material: 100% silk, soft, breathable, friendly to skin. One size Fits Most: Soft bonnet with loose design, comfortable to wear,suitable for most head size. Occasion: Light weight, can be carried easily when travel. 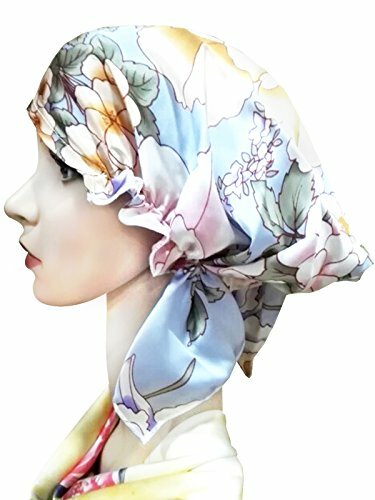 High quality silk satin cap can be worn as sleep cap or chemo cap, looks fashionable.